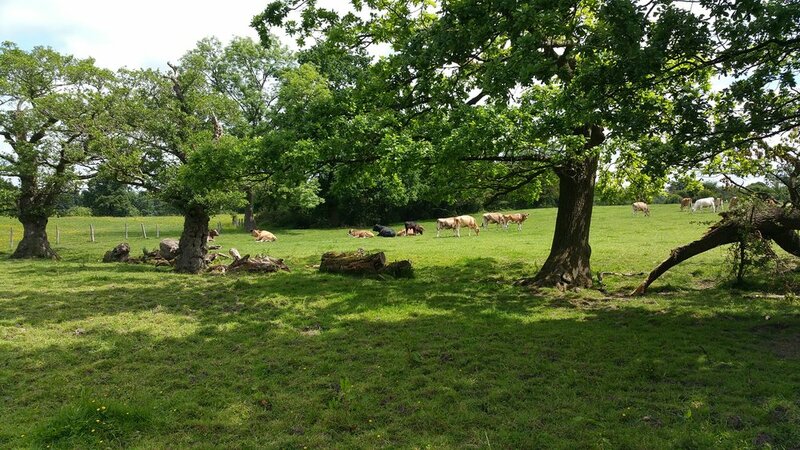 Hopewall Farm is home to a mixed herd of Jersey, Guernsey and Dairy Shorthorn cattle, which graze on the lush countryside surrounding Adlington, here in rural Cheshire. 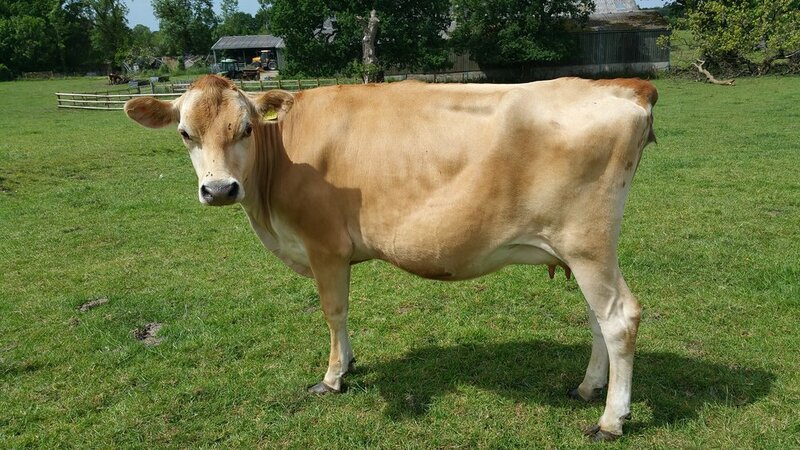 Jersey and Guernsey cattle are well known for their especially creamy milk, and they are also friendly animals with an inquisitive nature. 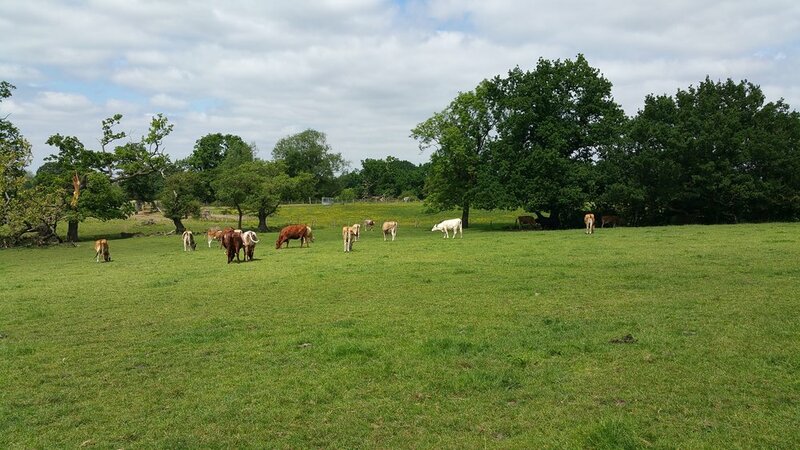 Shorthorns are a traditional, native English breed. 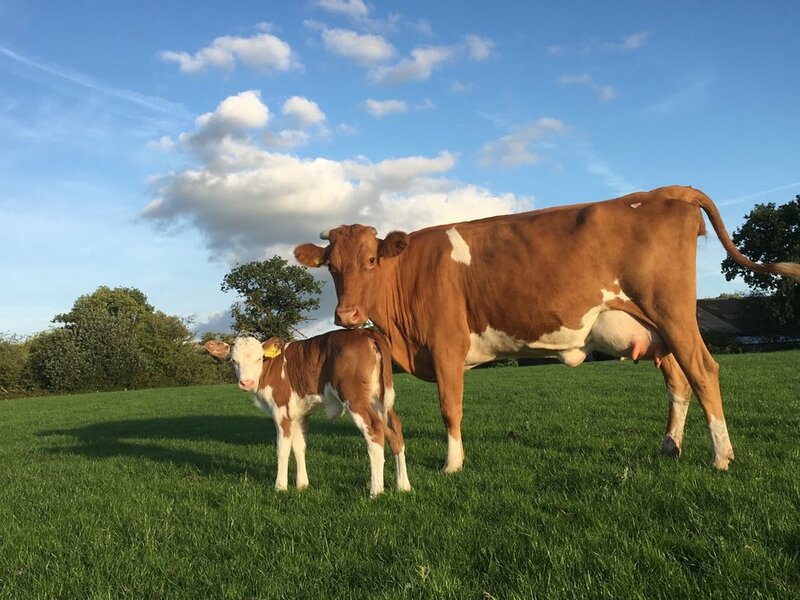 All three breeds are traditional dairy animals bred for natural, extensive, un-pushed milk production. 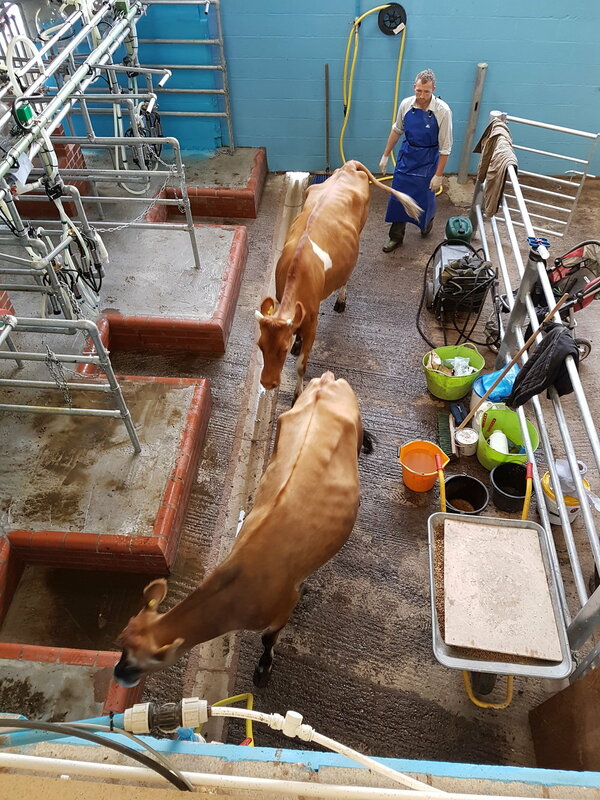 We have converted an old barn at the home farm in Adlington, and installed a small milking parlour. 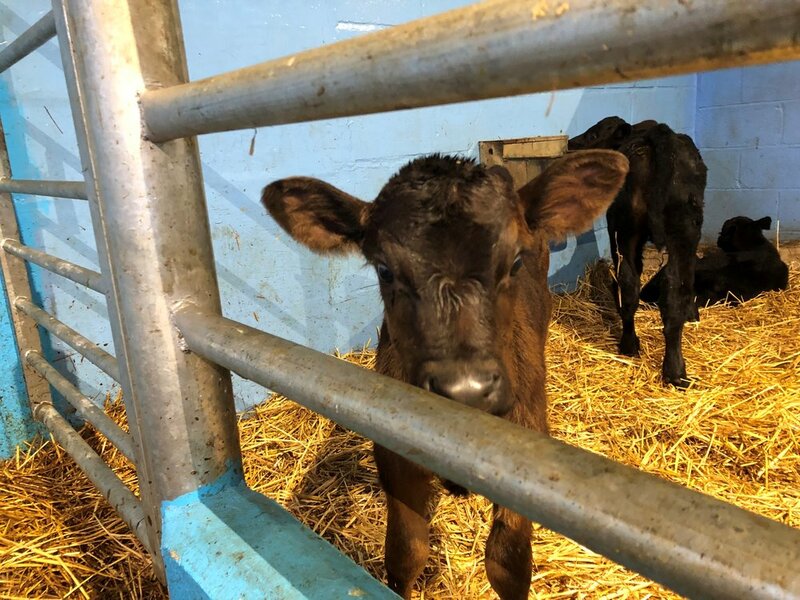 We are now in the process of installing a milk processing plant and should be bottling and delivering to local doorsteps direct from the farm. 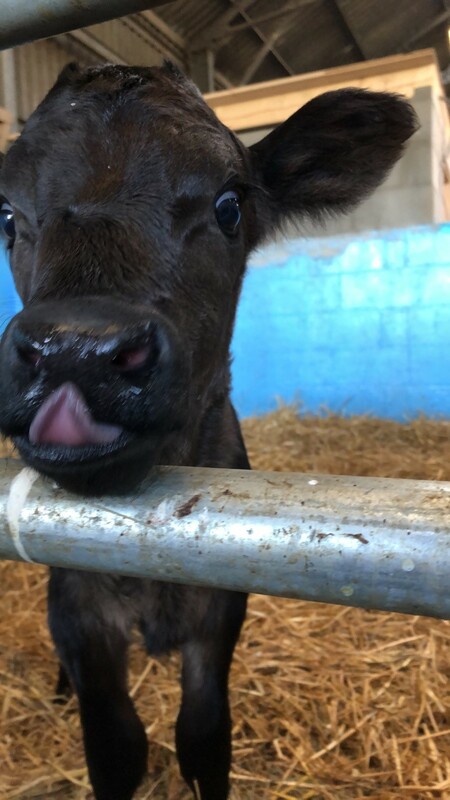 The majority of our farm-produced milk is currently being sold into local businesses through our dairy foodservice business. 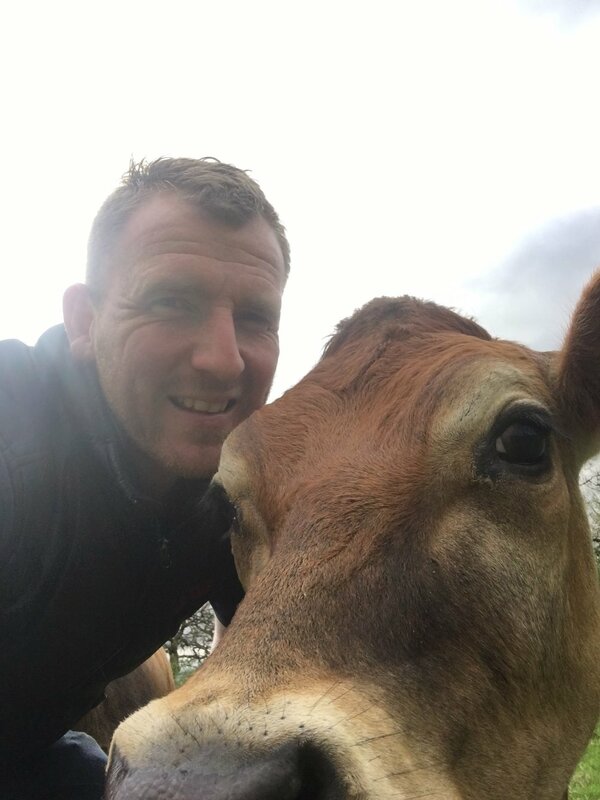 If you run a business local to Poynton, Adlington area, and you would like milk or cream from your local producer-supplier, please contact us now for a trade account. Raw Milk - Real milk is back! We are now licensed to sell our Jersey-Shorthorn milk ‘raw’ and un-processed, direct to the consumer. Pasteurisation of milk kills off BOTH beneficial AND the harmful bacteria. 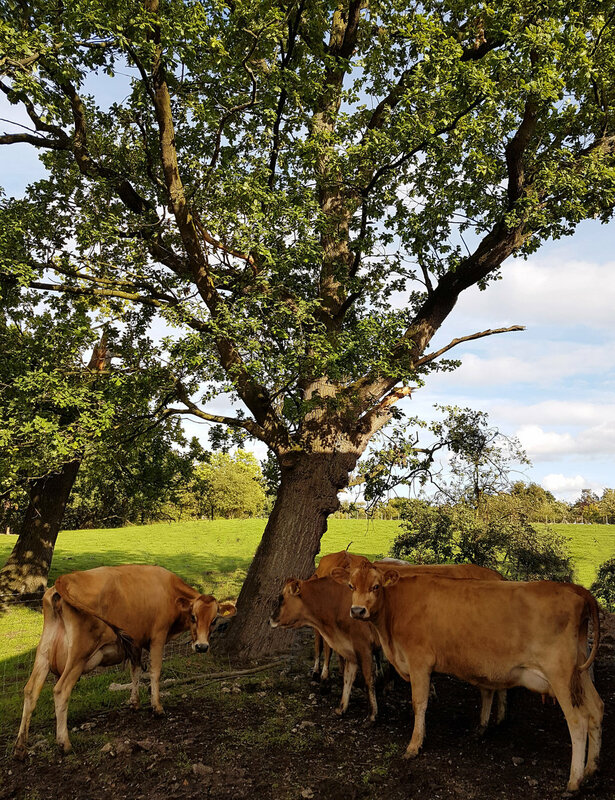 ‘Raw milk’ has not been heat-treated and is un-processed, complete with vitamins and minerals, beneficial bacteria, naturally occurring linoleic acid and omega-3 fatty acids. People with lactose intolerances can often enjoy raw milk as a natural, wholesome alternative as the organisms which help to process the lactose have not been destroyed. We believe that the health benefits of raw dairy products far outweigh the risks. However, as the milk is untreated, it may contain tiny amounts of harmful bacteria. For this reason, children, pregnant women, the elderly, and those with immune-deficiency could be at higher risk from the bacteria in raw milk. 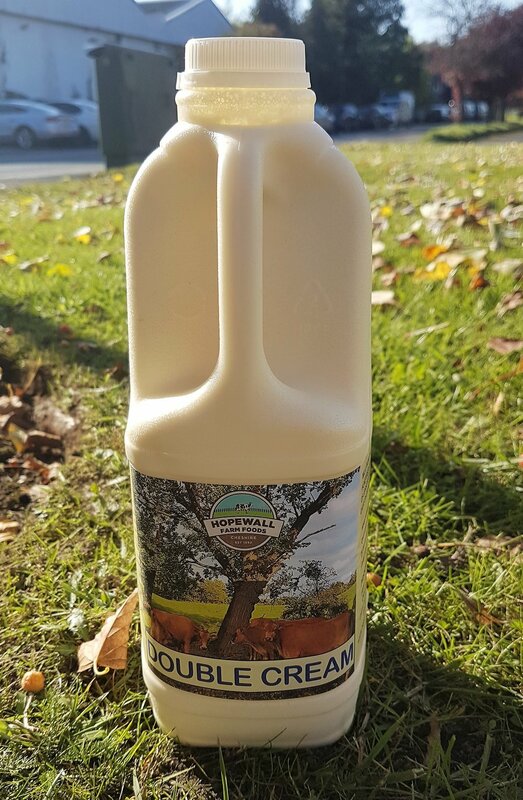 If you would like to try our Real Milk, please contact us for collection from the farm, or we can deliver within a five-mile radius from the farm.